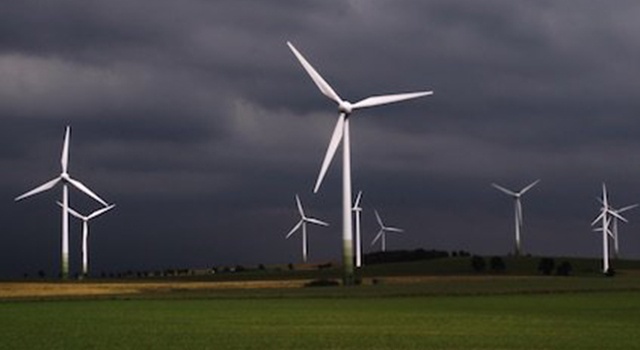 One of the countries largest wind farm projects has received approval from the New South Wales Government. The Liverpool Range Wind Farm will be able to power up to 500,000 homes. The Liverpool Range Wind Farm will be located between New South Wales Central West and Upper Hunter regions. The project was first proposed in 2011 by renewable energy company Epuron who have stated that this project will help Australia achieve our renewable energy targets. The $640 million project includes 272 wind turbines which makes it New South Wales largest wind farm to date. When the project was first proposed by Epuron local raised some concerns about the size of the project and the number of projects. In response, Epuron removed 16 turbines from the project and reduced the number of substations from six to four. Around 80% of the project sits within the Warrumbungle Shire, Shire Mayor Peter Shinton has spoken about community support for this project, stating, "Most of the mountains around here have got something on them because we've got the observatory here in Coonabarabran so we're used to things on tops of hills," he said. "This will be generating a fair bit of power into the state grid. I think it should be very welcomed by everybody." It is expected that this massive renewables project will create 800 construction jobs during construction, which will take 3 years. Nationals MP for Barwon Kevin Humphries spoke about the benefit this project would bring for all of New South Wales. "At the end of the day, renewables will play a part in base load over time and this project is a significant contributor to that," he said. "We've just got to make sure we can punch that power into the grid and potentially unearth more significant projects even further to the west, not just with wind but with solar as well."